We’ve done a price cut on the entire Neu Harmony UK label category on the Hypnos Store — some major discounts on imported CDs. We’ve done a price cut on everything by Hafler Trio on the Hypnos Store. These items have been added to CLOSEOUT section of the store. Here’s another price cut on the Hypnos Store for one of our own label’s CDs. 2000. 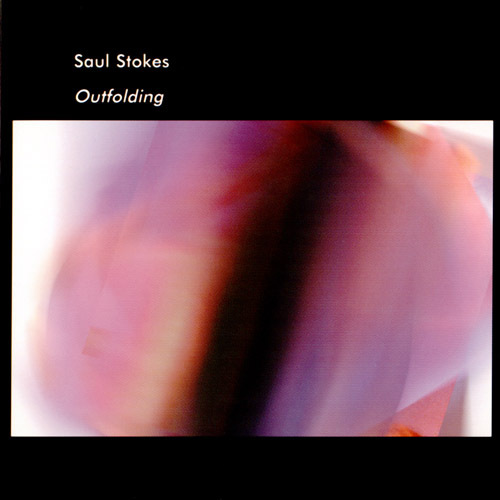 The primary sound sources on all Saul Stokes recordings are several vintage-style analog modular synthesizers built by Stokes himself. But don’t mistake this to mean Stokes is working in a retro or “classic E-music” style, because this is definitely not the case. Perhaps no artist in the ambient/experimental music scene possesses a sound as distinctive, fresh and modern. Those who have seen Saul’s much-acclaimed live performances in Philadelphia during the past year can attest to his challenging and dynamic sound. It’s world music for the mid-21st century, way ahead of its time. Ambient atmospherics blend with riveting electronic experimentalism, guided by an artistic savvy and grace all too rare in this tech-oriented genre. 15PCT75MIN gives 15% off purchases over $75, but it is only valid through June 28. We’ve done a price cut on the entire Stellar Auditorium category on the Hypnos Store. We’ve also added these items to the CLOSEOUT section of the store, not because we intend to stop carrying these items forever, but because we need to blow out what we have before we add new items to our new store later. Also, don’t forget our coupon code SUMMER2013 which gives 10% off any purchase, and is valid through the end of July 2013. We also just added a 3-day special coupon code 15PCT75MIN (15% off orders over $75, expires June 28, 2013). We’ve done a price cut on the entire Waterscape label category on the Hypnos Store — huge price reductions on this one! These items are limited and mostly out of print, so they’re less likely to be restocked after this closeout.